The muscle cuirass, known also as the heroic cuirass for its impressive and statuesque look, often features what the Greeks considered to be the height of physical perfection. 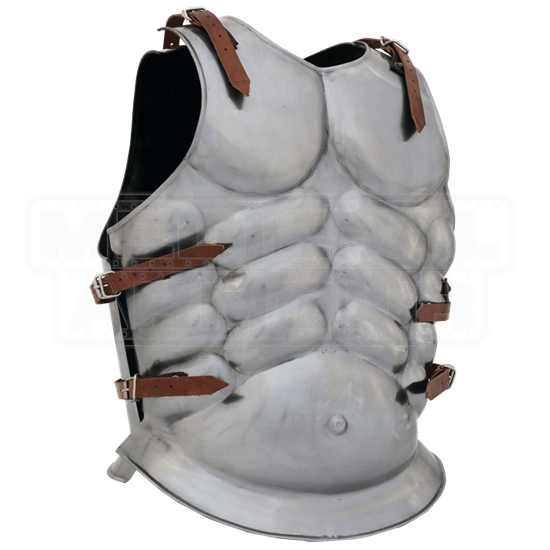 The Iron Muscle Armour is a perfect example of this favored cuirass. The front of this muscle cuirass depicts what the Greeks would have considered to be height of physical perfection in a male, featuring well-defined muscles in the chest, particularly along the pectorals and the abdominal muscles. This chest armour also lacks a collar, featuring only a neckline that approaches neck, while leaving it free to move. The arm holes on the armor are also fairly expansive, providing for a range of movement that would be required of any Greek warrior. This armour is made from fine metal materials and features a truly impressive looking polished iron finish. The breastplate secures to the back plate along the shoulders and the sides. 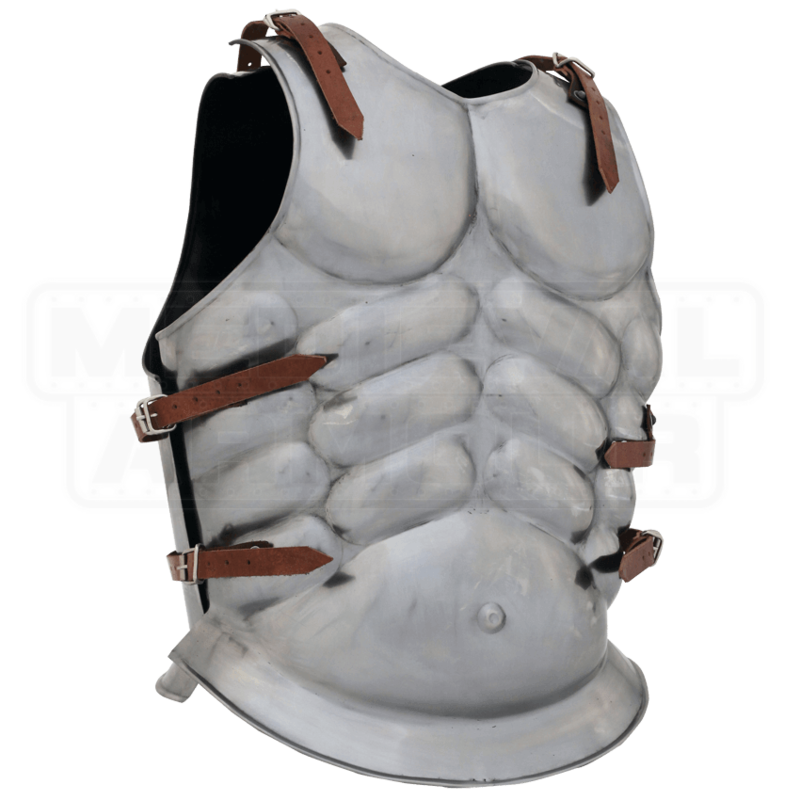 This Iron Muscle Armour is a great representation of the an armour that not only provides more than adequate protection but also serves to enhance the appearance of its wearer, making any warrior look more grand and more statuesque in terms of their appearance.